I took a brief walk down memory lane this morning after running across some old files from my last job. 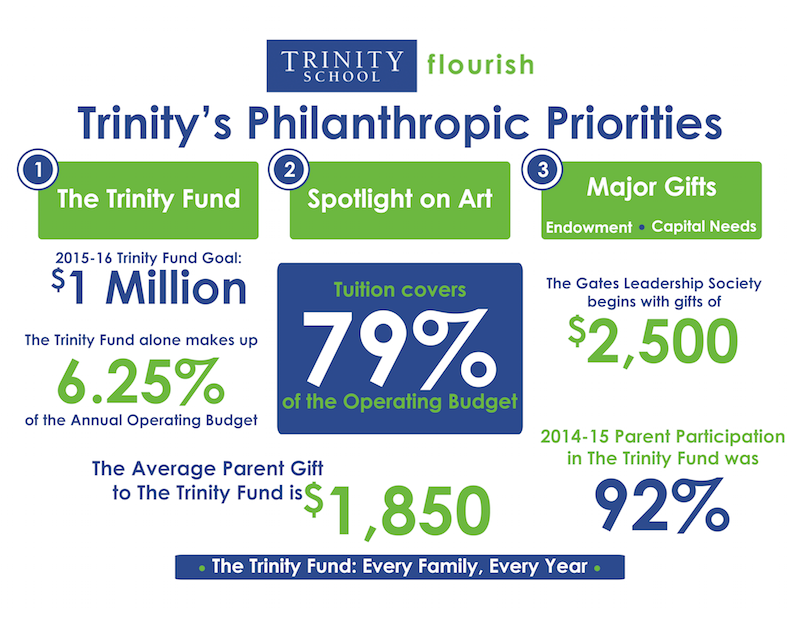 I created these for social media for the 2014-15 Trinity Fund. I love the vibrant colors I was able to work with. The green, especially, was great for capturing attention on social media. I created this infographic (below) for an event for new parents. While the color palette is the same, the colors aren’t as vibrant, as they were printed pieces to be included in travel coffee mugs. I love telling a story using stats, and using different colors, shapes, and placement for emphasis. This is the kind of work that drives me!